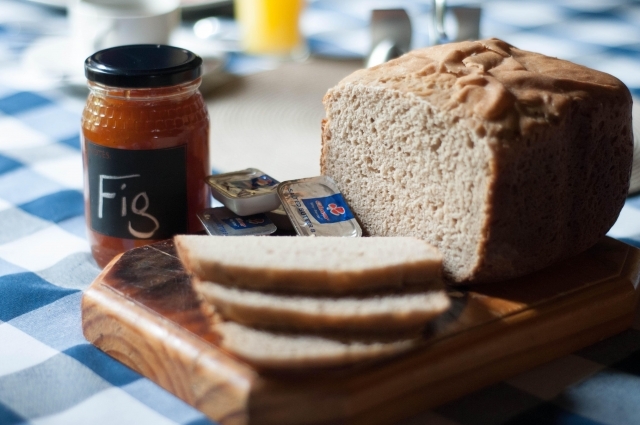 The Management and Staff of iNkosi EcoLodge are passionate about living in a sustainable way. This is reflected in the way we run our business - supporting local businesses, growing some herbs and vegetables , recycling our waste, reducing our electricity and water usage, etc. All of this contributes to lowering our carbon footprint and impact on the environment. Sign Up Here for our Newsletter to hear all about the innovative ways in which we are continuously changing our business to become more sustainable. Whether you have come for work or play, iNkosi Eco Lodge offers everything you need. 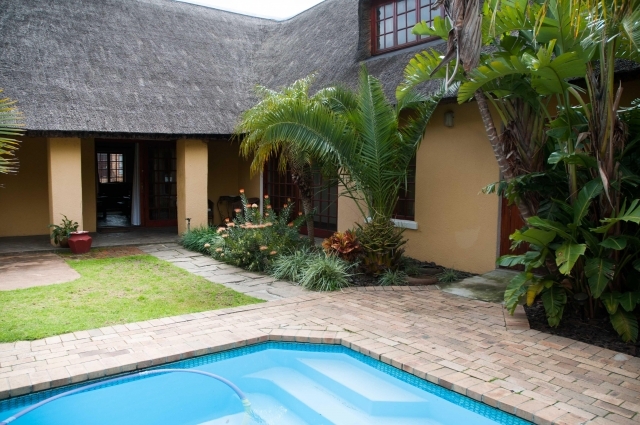 This beautiful, spacious home with its distinctive thatched roof was built around a sparkling blue pool, next to a small bird breeding sanctuary, giving you a tranquil setting for your stay in Cape Town. 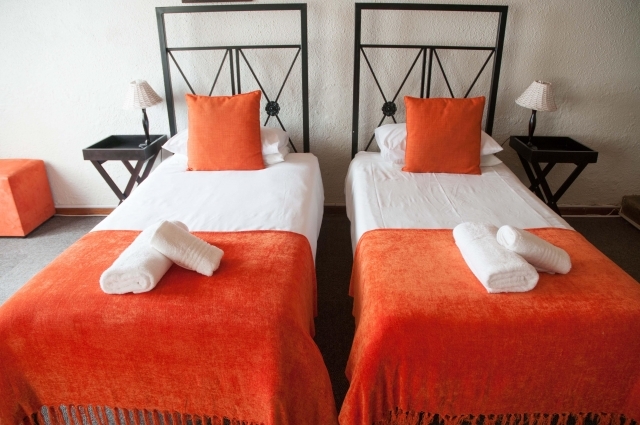 There are 6 spacious en-suite rooms with either a double, king size or twin beds to choose from. 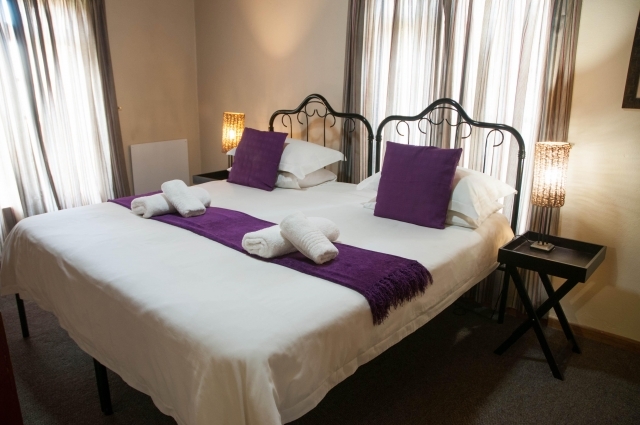 Rooms are furnished in a simplistic style with Flat Screen Television, DSTV, Free Wi-Fi and coffee/tea station. Communal areas such as dining room, lounge with library, swimming pool and courtyard are available for use during your stay. Business guests have the added benefit of an onsite boardroom. Rent our Boardroom for your meetings and training sessions. It boasts a beautiful glass table, air conditioning, Free Wi-Fi, a white board and projector screen. 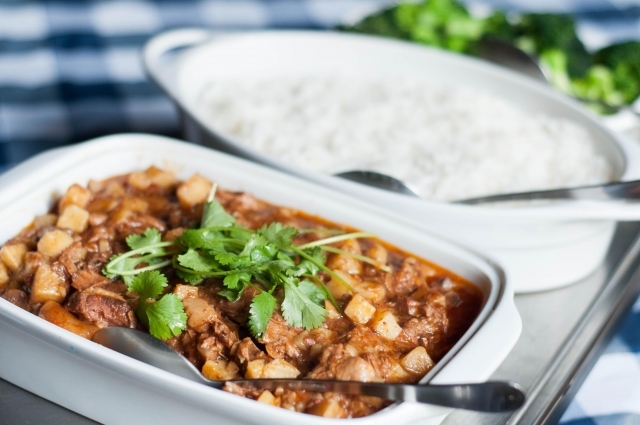 All catering is done from our kitchen. 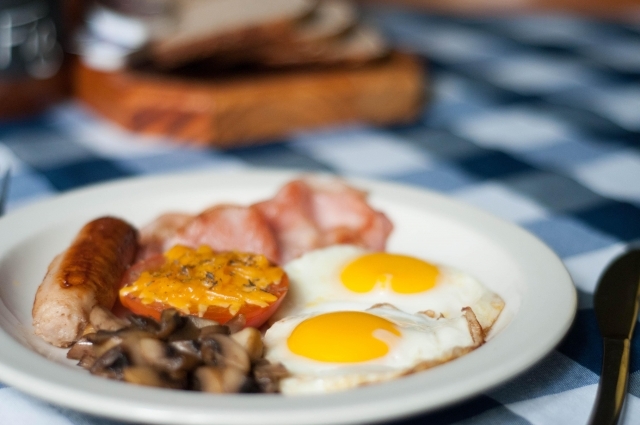 Whether you enjoy a scrumptious breakfast before you start your busy day, need catering for a business lunch or would like to unwind with a home cooked meal before turning in for the evening, our staff will happily oblige in offering you delicious meals using local and seasonal produce. If the purpose of your visit is to explore our beautiful city, feel free to request more information on where to go and what to see. Management can point you into the direction of those hidden gems only locals know about. We are also able to make reservations to the more popular sights on your behalf. All members of our staff are fluent in English and Afrikaans.